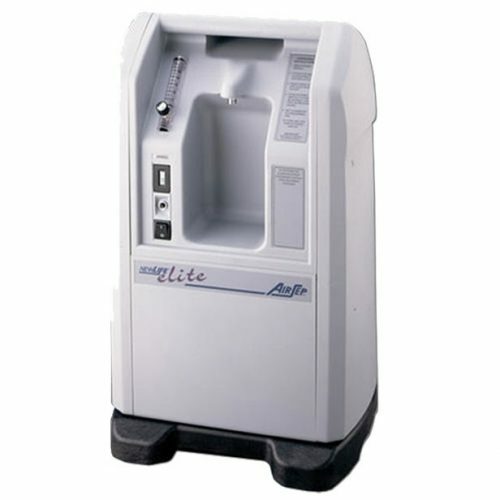 The AirSep Visionaire home oxygen concentrator is one of the smallest and lightest home unita available. Providing up to 5 LPM, it weighs in at just 30 pounds and rolls about very easily on four durable casters. Its small size and quiet operation make it extremely unobtrusive. Its quiet operation won’t drown out the television or conversation. 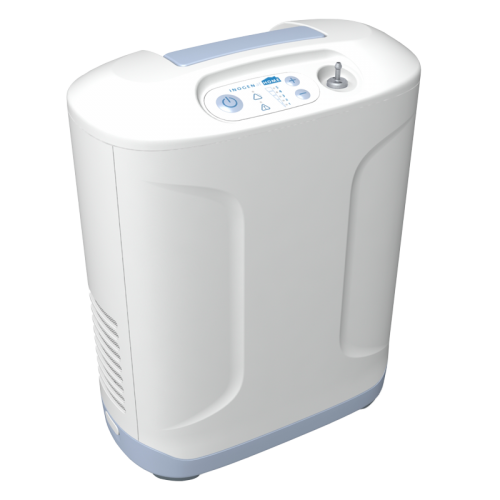 This also makes it ideal for CPAP and BiPAP patients to use without disturbing sleep. Extra-long tubing can be used for convenience and mobility. 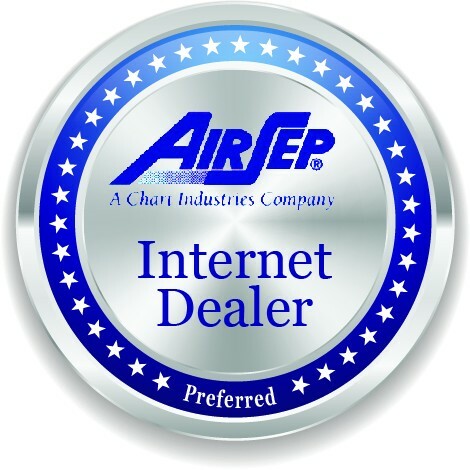 The AirSep Visionaire is extremely easy to operate and maintain. Its single filter can be removed without the use of tools for easy cleaning. 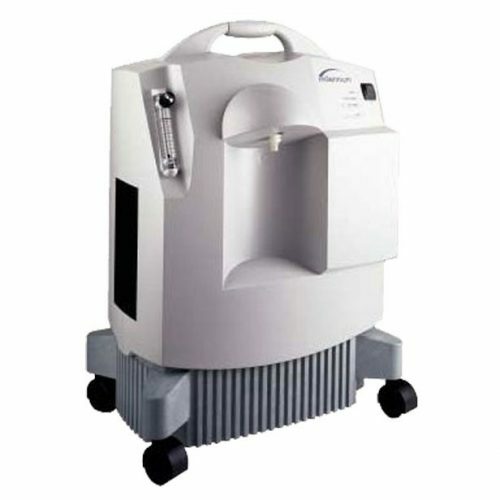 The oxygen flow can be adjusted in 1/8 LPM increments for extremely accurate dosing making this unit a good choice for pediatric oxygen needs. The energy efficient operating motor saves money on energy costs and emits less heat making it more comfortable to use in confined spaces. 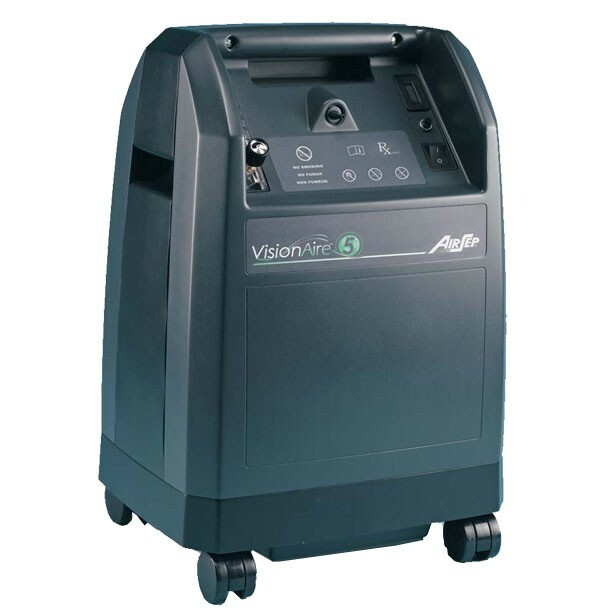 Easy to operate and maintain, the AirSep Visionaire makes maintaining oxygen levels effortless. Precise flow adjustments can easily be made with the easy to maneuver and see gage located at the top of the machine. 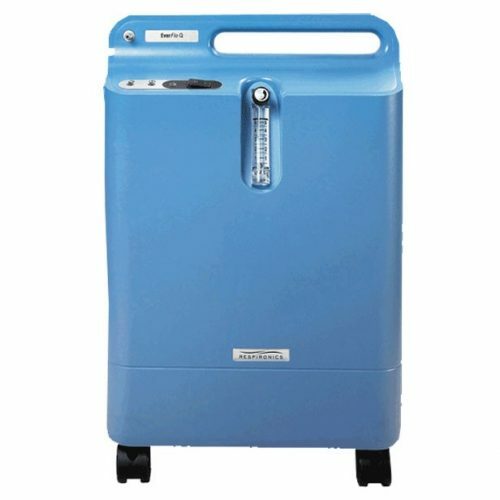 A humidifier bottle strap is located at the top, rear of the machine, out of the way of controls, yet easy to reach and refill. 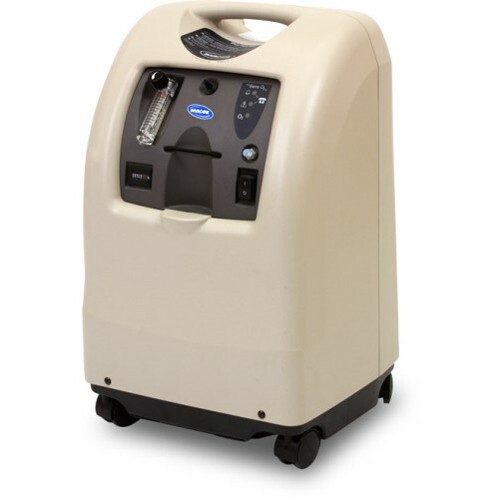 Adding humidity to oxygen therapy reduces dryness to sinus membranes for added comfort. The oxygen flow and hours meters on the Visionaire are both located on the front for convenient tracking.